A detail of the facade of the Church of the Spilled Blood. Yes, that is gold leaf and mosaics. Two views of the church showing the incredible detail used in the facade. Above and below are two views of the inside of the church. It is breathtaking! 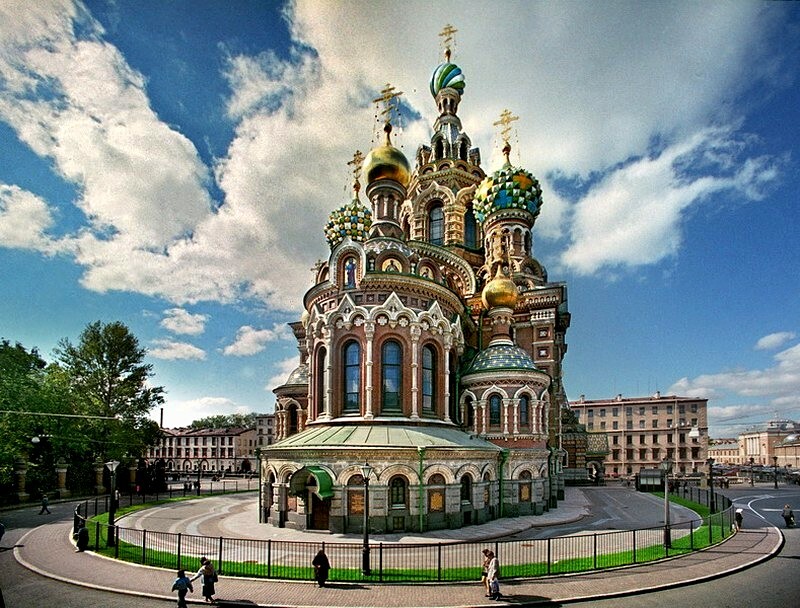 This 16th to 17th century Russian-style church was built on the spot where Emperor Alexander II was assassinated in March of 1881. The irony of his assignation lies in the fact that Alexander II initiated a number of reforms including the freeing ofd the Russian serfs (peasants, who were almost enslaved to their owners) and began a process of military, judicial and urban reforms, never before attempted in Russia. However, during the second half of his reign there were a series of attempts on his life, culminating in the bombing of his carriage as he was returning to the Hermitage Palace after watching the training of some of his soldiers. Almost immediately, his heir, Alexander III, decided to erect a church on the site in his father's memory. The church's appearance draws heavily from St. Basil's Cathedral in Moscow and the Vladimir Cathedral in Kiev. Construction began in 1883 and was completed in 1907. The construction of the church was almost entirely funded by the Imperial family and thousands of private donators. Both the interior and exterior of the church are decorated with incredibly detailed mosaics. As part of Alexander III's plans, no baptisms, funeral services, weddings, or other traditional church services were ever held in the Church on the Blood. 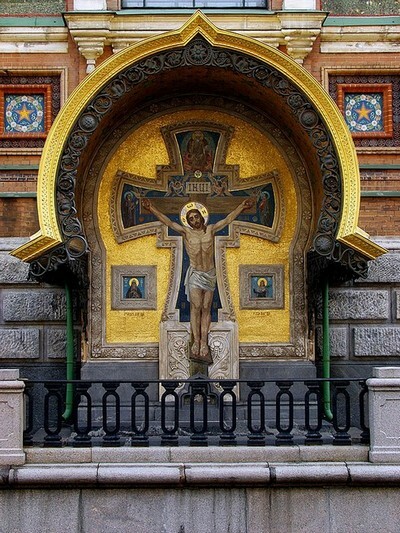 Instead, weekly requiems (for Alexander II) and sermon readings attracted large numbers of worshipers. After the Russian Revolution and during WWII the church was heavily looted and damaged extensively. The church was closed for services in the 1930s, when the Soviets went on an offensive against religion and destroyed churches all over the country. 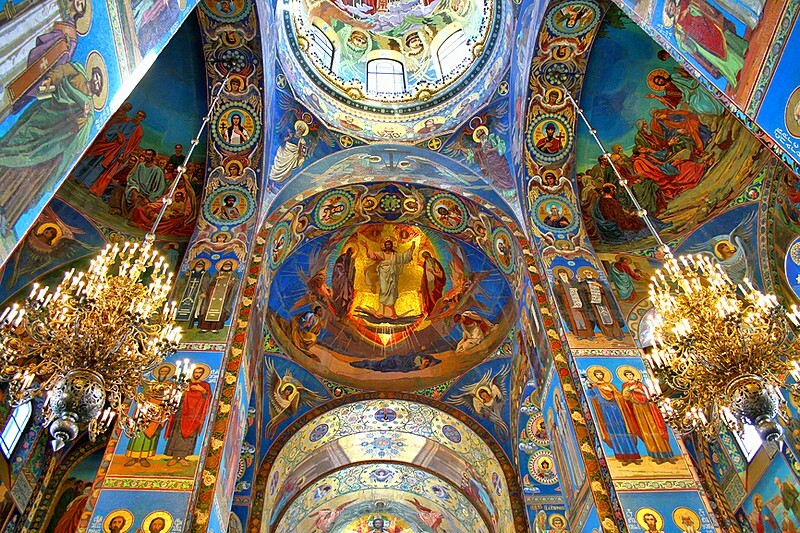 During the Soviet era the church was used to store scenery and costumes for a ballet company. The church was looted by the Germans during WWII who stole the majority of the icons, the gold and the silver used to adorn the church. 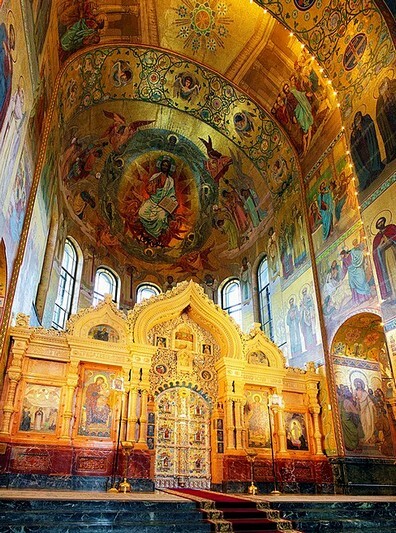 During the Soviet era the church was used to store scenery and costumes for a ballet company. Following 30 years of impressive restoration, it is now almost completely restored except for its missing icons. 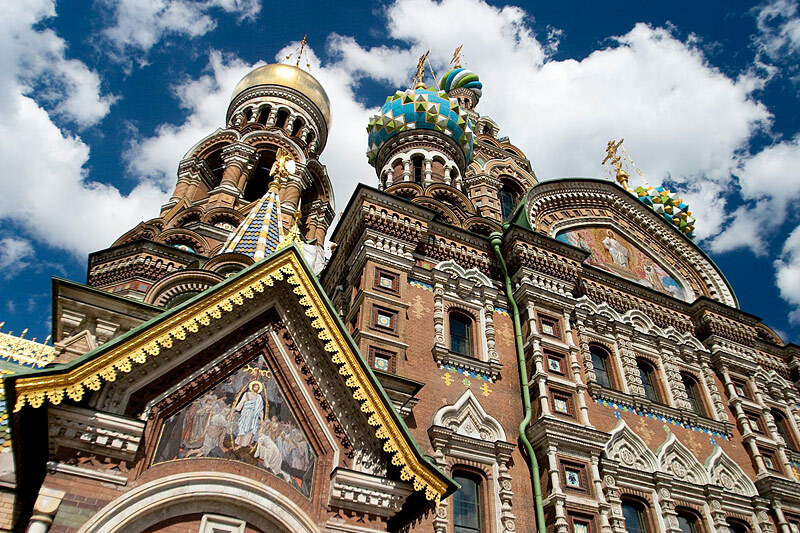 It's profound beauty, inside and out, have made it St Petersburg's most popular tourist attraction.